Football laid down its roots in the coal-mining community of New Cumnock, Ayrshire in 1877 with the formation of senior side Lanemark F.C. who played at Connel Park pitch in the heart of miners’ rows owned by Lanemark Collieries. Cup competitions were the main diet in the early years as league football struggled. Other seniors sides came and went in the parish and several players went on to play with better known senior sides in the county (Kilmarnock in particular) while a number were successful south of the border including the North East. Lanemark’s winger Colin McLatchie went on to win the Football League in 1902 with Sunderland, while Afton Lads’ defender William Agnew was capped for Scotland while playing for Kilmarnock and would between the years of 1902-1910 complete a remarkable hat-trick of playing for Newcastle, Middlesbrough and Sunderland. Lanemark closed down at the outbreak of the Great War and did not reform on its conclusion. With the loss of the senior side, junior football (our brand of non-league football) came to the fore. Several clubs had competed in local competitions and in 1920’s New Cumnock United were formed and played at the Connel Park pitch, now owned by New Cumnock Collieries Ltd. ,and inherited Lanemark’s hamper. The U’s quickly became a major force in the small South Ayrshire league winning three titles in a row. Export demand for coal plummeted, a General Strike was on the horizon and the club folded before the end of the decade. A partial world recovery in the demand for coal and record output for New Cumnock Collieries re-ignited the demand for football and in 1930 Glenafton Athletic were formed, taking their name from ‘Glen Afton’ in the parish, through which sweetly flows the Afton Water, immortalised by our Robert Burns in ‘Sweet Afton’. Back-to-back titles swiftly followed along with a clutch of local cups but the small South Ayrshire league was suffering financially. 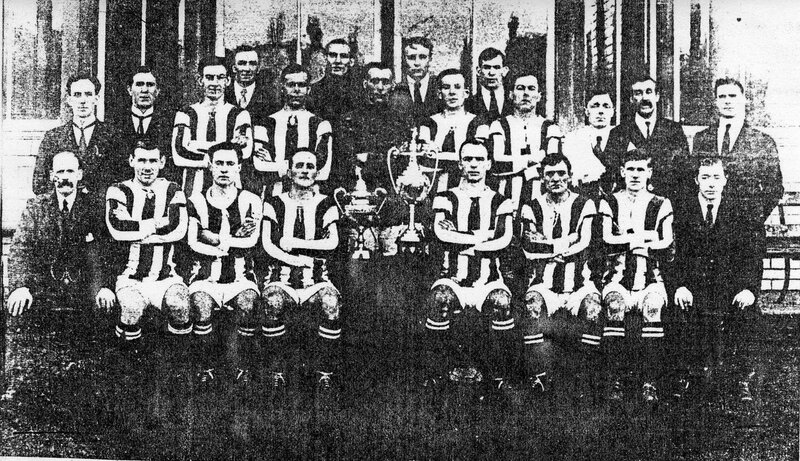 In season 1933/34 several south Ayrshire clubs, including the Glens, were admitted to the more lucrative Western League, comprising chiefly of North Ayrshire clubs and the following season the New Cumnock side were crowned champions. The season after that Glenafton won the Ayrshire Cup and had the honour of having 3 players selected for the Scottish Junior International side. Many players also stepped up to senior football. 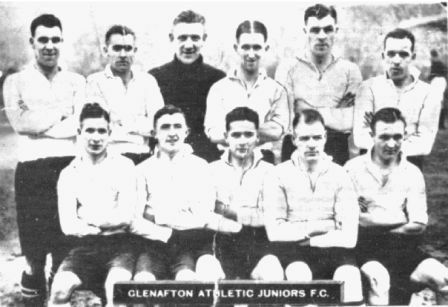 Many junior teams, including Glenafton, closed down at the outbreak of World War II. Glenafton struggled to re-establish themselves as a force in the Western League and the first post-war silverware was a couple of consolation cup win in the early 50’s; however by the close of the decade things were on the up and in Season 1958/59 they were crowned Western League Champions and won two local cups to boot. Many of the local New Cumnock pits were closing down and miners would travel to work in one of the two ‘super-pits’ in neighbouring communities. The days of the miners’ row at Connel Park were numbered and over a number of years a hard-working committee raised funds to create a purpose built ground in the heart of the village. 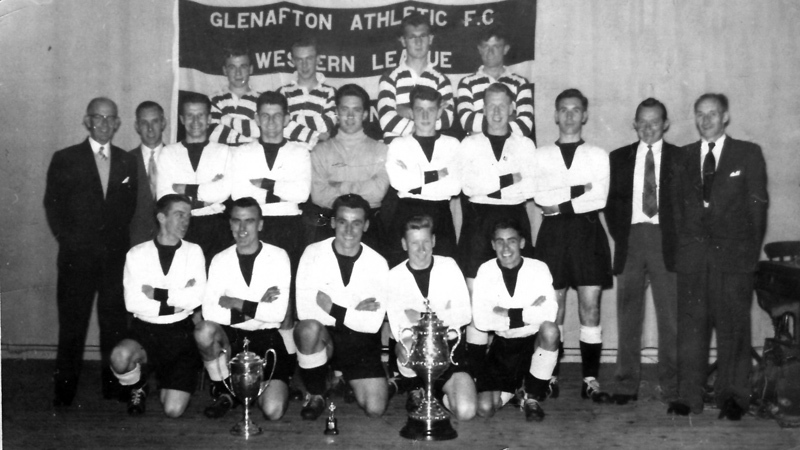 The Glens kicked off Season 1960/61 in their new home at Loch Park and with a change of colours from black & white to red white entered into a truly golden period in the club’s history. 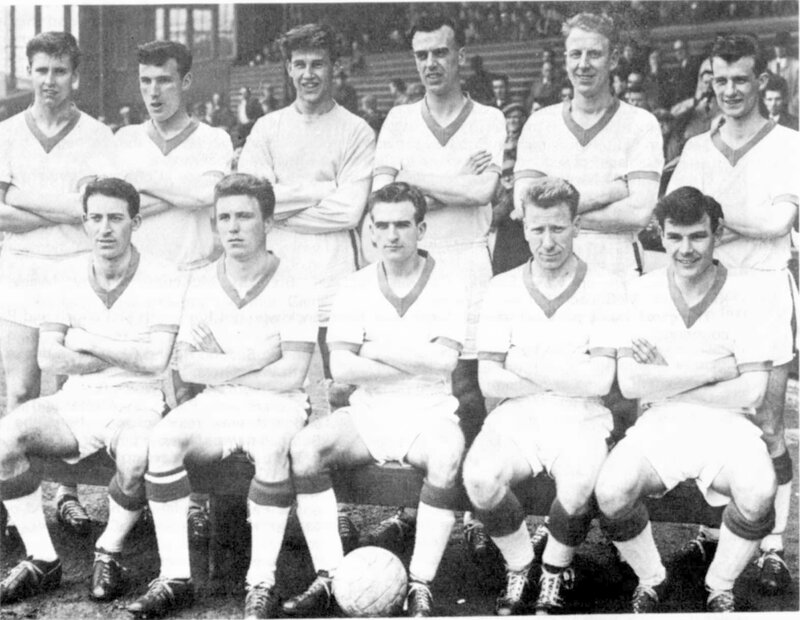 They became the first team (outwith the WWII years) to win the Western League Championships three seasons in a row (1961/62-1963/64) and in 1962/63 reached the Scottish Junior Cup final for the first time, but sadly lost out at Hampden to Irvine Meadow. In stark contrast the trophy cabinet remained bleakly bare in the second half of the decade as the club battled for survival. 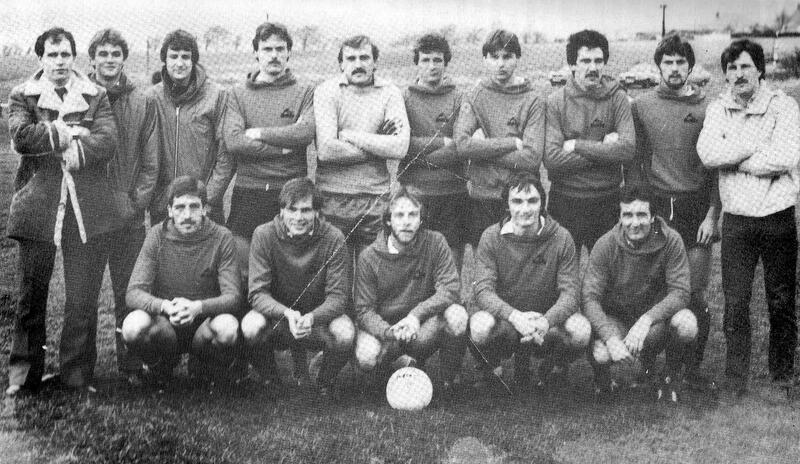 The recovery was sustained and in 1982/83 they were champions again, winning the Ayrshire League title (which had replaced the previous Western league. Ten seasons would pass before the League flag flew at Loch Park again in what was the club’s most successful season. 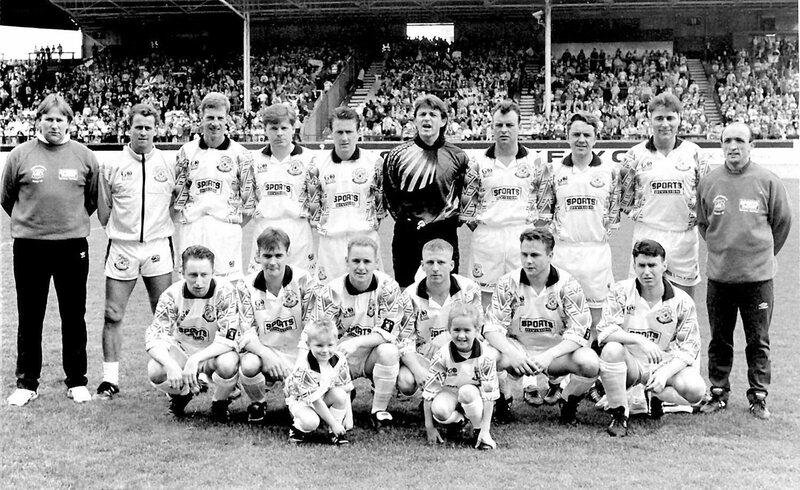 Scotland’s most capped goalkeeper Alan Rough joined the club as co/manager with Andy Dunlop and together they led the club to three Scottish Junior Cup finals in succession and won the trophy for the first time in the club’s history in season 1992/93, a few days later the Ayrshire title was secured and the treble completed with an Ayrshire Cup win. A spread of domestic cups was claimed before the century closed. 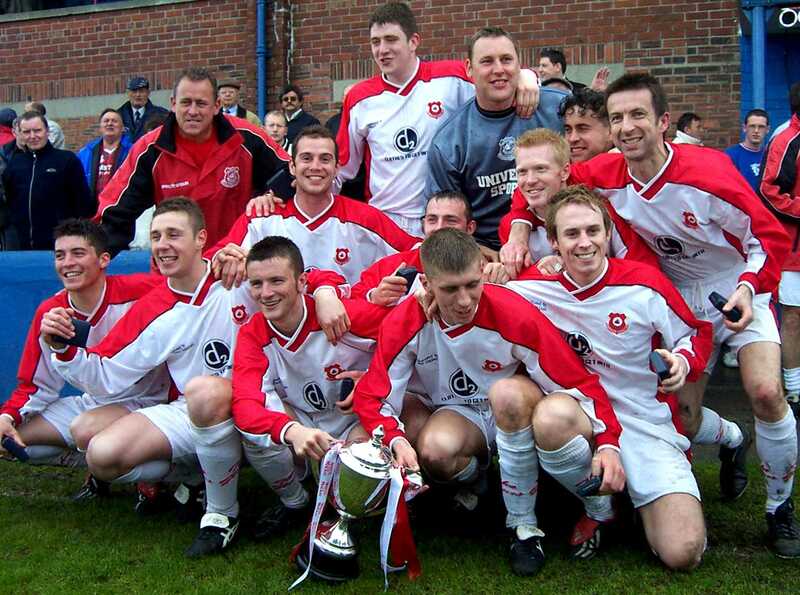 In Season 2001/02 Glenafton won the title again and could claim to be the ‘Last Champions of Ayrshire’ since the following season major league reconstruction saw the formation of the West Region as the Ayrshire League clubs combined with the Central League clubs (comprising teams from Glasgow, Lanarkshire, Renfrewshire and beyond). Glenafton finished 3rd, two points behind the West Region Premier Division winners in the inaugural season of the new league set-up under manager Tommy Bryce, who also led the team to their first West of Scotland Cup that season. Season 2005/06 under manager Gerry Collins began with a thrilling game and win over Cumnock Juniors in the Ayrshire Sectional Cup final at Somerset Park, Ayr. This cup was claimed for a second time in 2005/06 and along with the Ayrshire League Cup for a fine double. The season concluded with the club winning the West of Scotland Cup to complete a fine double. After seven seasons in the top flight Glens now under Gordon Dalziel lost a play-off in Season 2008/09 and were relegated the West Region Super League 1st Division. Glenafton lost a play-off in 2010/11 to miss out on promotion, however won promotion the following season as Champions under manager Darren Henderson. A fantastic 4th place finish in the Premier Division and a third West of Scotland Cup victory cemented the Glens place back in the top flight. However, a few weeks before the start of the 2013/14 season the management team and five of the players left the club to join newly promoted Hurlford United. Tommy Bryce joined the Glens for a second spell and had to effectively rebuild the team, which incredibly with only 3 players from the previous season, finished 6th in the league and astonishingly reached the Scottish Junior Cup final for the 5th time in the club’s history, only to lose out to hot favourites – Hurlford United! Tommy retained the bulk of last season’s squad and to date has signed three new players in the close season and no doubt another eventful season lies ahead. Glens bounced back and kicked off Season 2015/16 in good style defeating Auchinleck Talbot in the Ardagh Glass Ayrshire Sectional Cup at Troon. Tommy Bryce resigned from the club before the end of the year. In early January 2016 former Glenafton player Craig McEwan was appointed manager with former Glenafton Craig Potter as his assitant and guided the club to a sixth place finish in the top flight. 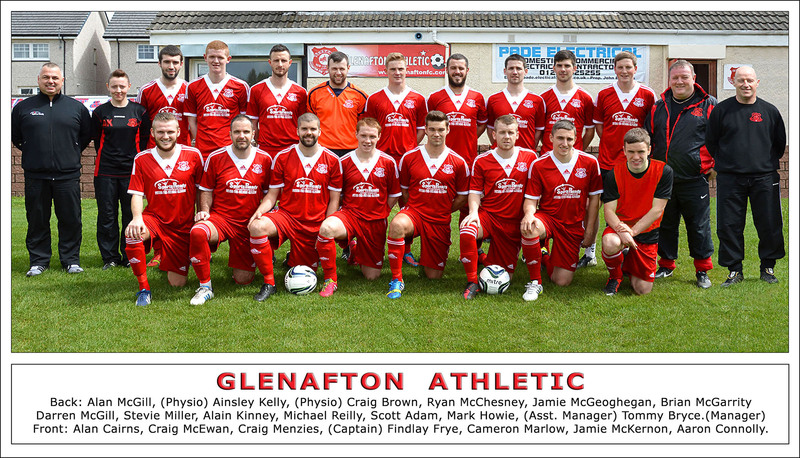 Season 2016/2017 proved to be a momentous year for Glenafton Athletic. After being crowned West Region Super League Champions for the first time in the club’s histroy they went on to defeat holders Auchinleck Talbot in the Scottish Junior Cup final to lift the trophy for second time in the club’s history. They completed the treble after defeating Glasgow Perthshire in the season’s end final of the Evening Times League Chmapions Cup.